The whole of the eastern end of Huish, on both sides of the road, was colloquially known as Paradise and recorded as such in various census returns at least until 1891. The name came from the fact that there was a burial ground, just visible at the very top of the map below, and to the immediate east of the old National School. The burial ground is now under Tesco's car park, between the store entrance and Huish. 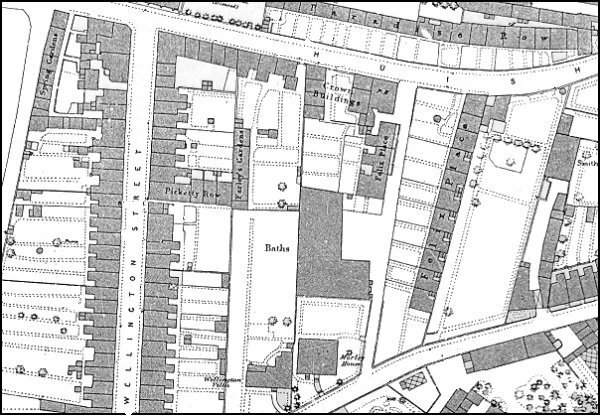 1886 Ordnance Survey showing Paradise Row at the top of the map but both sides of Huish were known as Paradise at this time.